The Type 3 machine gun was a belt-fed weapon that replaced the Type 97 on Navy aircraft. 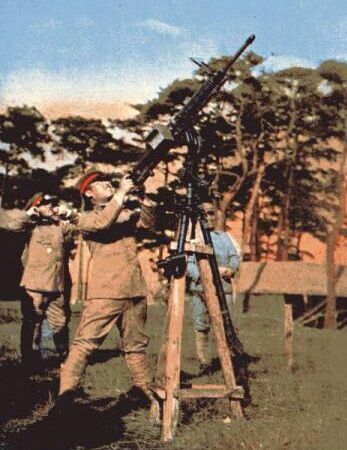 Based on the Browning M2, but modified to use the same cartridge as the 13mm/76 antiaircraft gun, it had a short recoil rising block locked action and was belt-fed. It has been claimed (e.g. by Mikesh 2004) that the weapon could fire Browning ammunition belts in an emergency.